Former Rep. Michele Bachmann appeared on the End Times broadcast “Understanding the Times with Jan Markell” over the weekend, where she claimed that America is facing the wrath of God in the form of “natural disasters” because of President Obama’s Mideast policy. 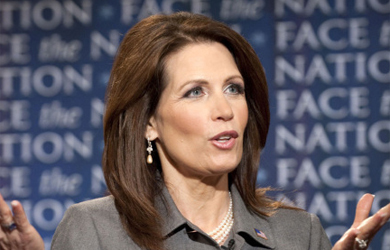 Later in the program, Bachmann said that Obama has thrown the world into the End Times. Warning that Obama “embraces the ideas of an economic Marxist” and “a one-world-government point of view,” she said the president is deliberately weakening the country. 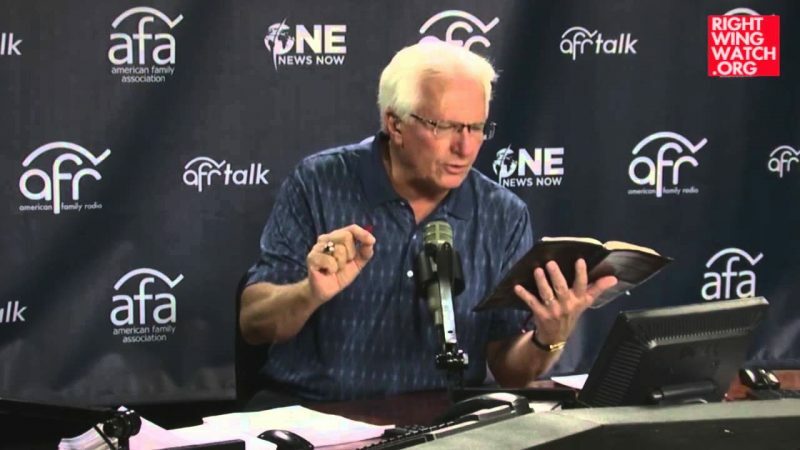 Even worse, Bachmann claimed, Obama “in effect declared war on Israel from the United States” and is paving the way for divine “cursing” of America. “If the United States turns its back on Israel, as our president is doing today, in my opinion, we cannot continue to indulge in the fantasy that the United States will be free from receiving the negative blowback, or curses, in biblical parlance, that could come our way and they could be severe,” Bachmann said. In previous interviews with Markell, Bachmann has claimed that Obama is a supporter of Al Qaeda who wants to impose Sharia law and restore the Caliphate.